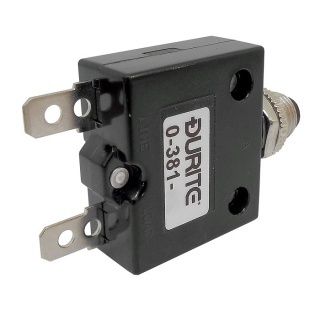 Durite's 12 volt or 24 volt dc 45 amp thermal circuit breakers. 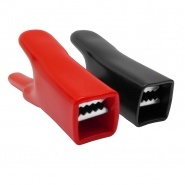 A ‘push to reset’ single pole circuit breaker, based on snap-acting bimetallic thermal sensing element system. 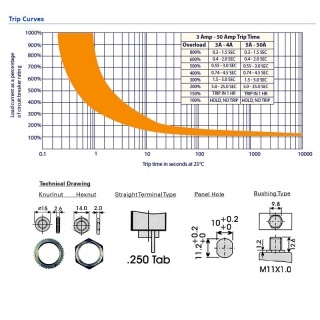 Accurately sensing overload conditions and interrupting the flow of current. The resettable actuator mechanism then remains disengaged until manually reset. 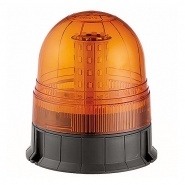 Body length (including terminals and button): 60mm. 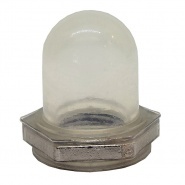 0-381-99 Durite Circuit Breaker Dust Cap. 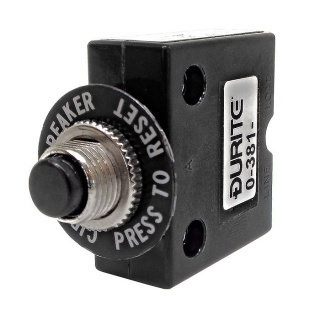 Weatherproof cover for stock circuit breakers, fits circuit breakers starting with 0-381-55 to -95. 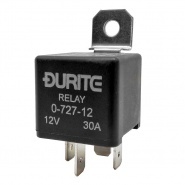 Durite 12V-24V dc 5 amp thermal circuit breakers, ‘push to reset’ single pole circuit breaker. 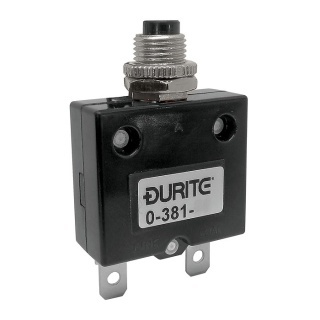 Durite 12V-24V dc 10 amp thermal circuit breakers, ‘push to reset’ single pole circuit breaker.